OKC Riversports' RUNderground 5K is one of Oklahoma City's most unique competitive running experiences. This 3.1 mile run is part of the annual Bart & Nadia Sports Experience and takes participants through the downtown area's tunnel system. 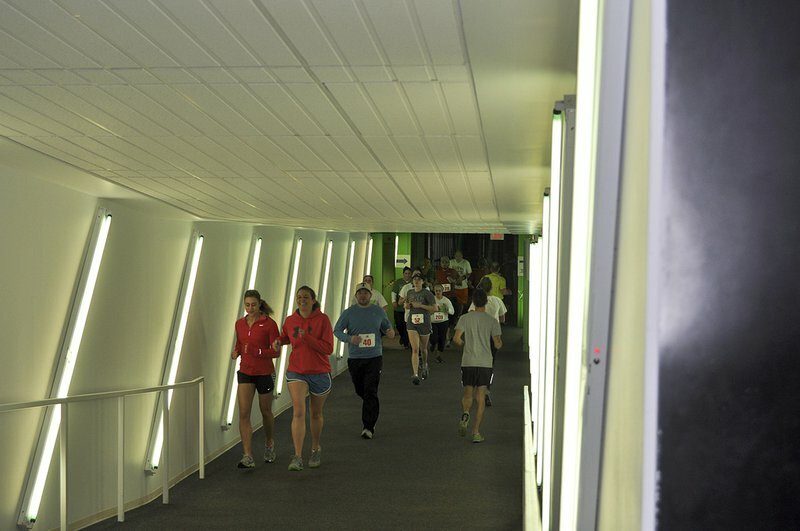 You'll run through halls bathed in different colors of neon lights staying underground for the duration of the race. It begins and ends on the first floor of the Cox Convention Center. Located in downtown Oklahoma City. From I-40 East, exit at Shields Blvd and proceed north toward downtown. Shields becomes E.K. Gaylord Blvd. Continue north on E.K. Gaylord past Reno where you can left to enter the parking garage under the Cox Convention Center.